When it comes to making pour over coffee, a true enthusiast doesn’t settle until they’ve brought out the best flavor the beans can offer. The process starts with something most of us do every morning: brewing a cup of coffee. But for a barista, this is the beginning of an experiment. A true coffee technician will analyze their pour over, tasting for imperfections and noting areas of improvement. Then they’ll make small and measured adjustments to their recipe and brew again. And again, until the coffee is near perfect. Every tactic coffee professionals employ is designed to optimize one of these 7 pillars. There is some consensus in the industry regarding best practices, such as the need to pre- wet your filter, but other methods are debated or contradicted. Do you stir the bloom or not? Do you level out your grounds before brewing? What’s the best coffee-to-water ratio for optimal flavor? The answer is, it depends. The key to utilizing these techniques is finding which ones work best for the coffee you’re brewing. On our quest to build the best manual coffee grinder, we sought the feedback and advice of a rapidly-growing coffee community called Team Handground. This group, consisting of coffee novices, serious home brewers, and coffee professionals, shares our passion for the continuous improvement of products and of course, the process of making coffee. As we started the process of developing 3D printed pour over stands, we wanted to learn more about making pour over coffee. We asked baristas in the community for their best tips to make pour over coffee and the responses we received are amazing. Each barista’s passion for coffee is on display in the 47 tips below. The tips are categorized into one of 7 pillars so you can choose where to start experimenting. We suggest exploring one new variable at a time to identify which tactics are benefiting your brew and which aren’t. 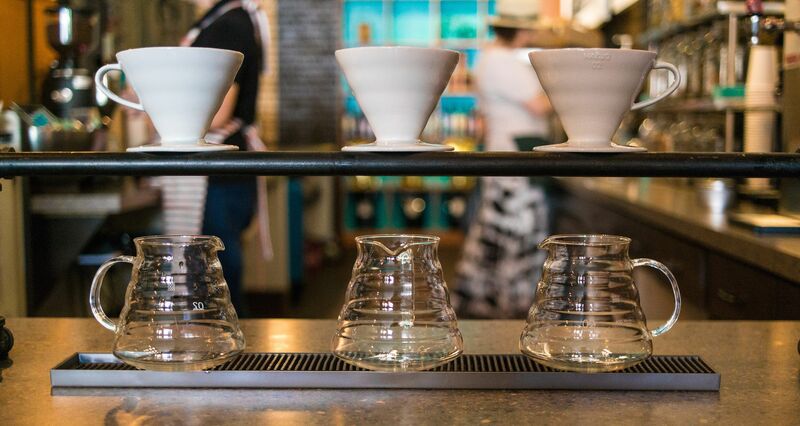 Note: If you’re looking for some great end-to-end pour over brew guides to get started, check out these resources from our partners at Elemental Coffee Roasters, Caravan Coffee, and Cafe Demitasse. “When we get in a new coffee, we look at the origin, elevation, processing method, and roaster's cup-tasting notes to determine where we begin our brew testing. We always seem to start at either Chemex or V60. Africans automatically start at Chemex. Central/South Americans, we go V60. Once we find a recipe that we enjoy, we analyze the cup with multiple tasters. Usually, this discussion is productive in leading to the 'recommended brew method' for any one coffee, that we then use to sell the coffee." “My advice to people is to make 2-3 brews of the same coffee at the same time with different, appropriate, adjustments to grind size and brew ratio, and then to taste them as they cool. “The 1:18 ratio is pretty specific to my brew method. Thrusting the coffee in a forceful spiral with the last pour, and actually using a finer grind size to boot. It's kind of counterintuitive, but I get a consistent 1.3 TDS, and a consistent 21.67% extraction yield. Upper right hand corner of the optimum balance box in brewing. 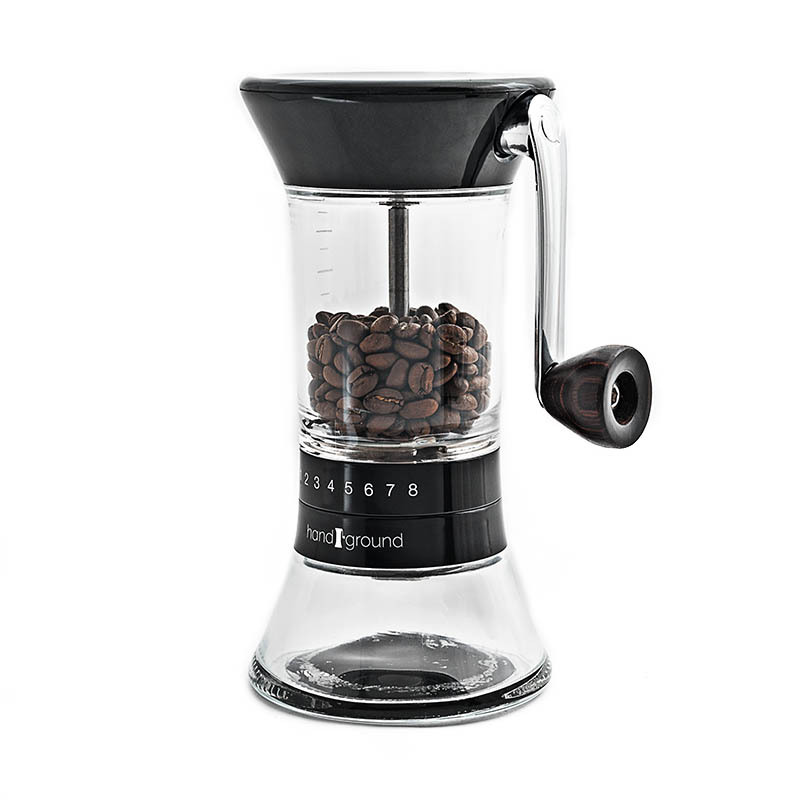 Brewing great coffee demands a consistent grind, no matter which brewing method you use. Handground was created by a community of thousands of coffee enthusiasts to make it easy to achieve a consistent grind for any brew method. “It’s important to know how long a brew should take and to adjust your grind accordingly. I feel like it's easy to teach technique and it's easy to verbally say how coarse or fine a grind should be for your method. But if someone's brew is only taking a minute and a half or taking 5 minutes then the extraction will be off. “We recommend the Soma carafes and pitchers. They’re small enough to fit in a fridge, friendly on the wallet, and kinder to the planet than other filtration options. Plus, they’ll get you in the right ballpark for brewing coffee, even if your tap water is pretty out of whack." Check out this brew guide video from Insight Coffee and see the Chemex swirl in action at 1:10. “We try to emphasize that the dwell time and brew rate are critical for good coffee. After the bloom, we suggest filling the cone up, immersing all the grounds completely and keeping the grounds immersed throughout the brewing time, stirring the coffee off the bottom in the beginning. “If you shake [the cone] to level it, you're actually redistributing the particles. Your fines are more likely to fall through and settle at the bottom, and the boulders are more likely to stay on top. Regardless of the range of variation in the particle size, there will be dust. By shaking it, that dust settles at the bottom and clogs the pores. This results in a longer brew time, which MIGHT give you a higher extraction yield. Not necessarily a good or bad thing, but it's something we may not have accounted for previously. "I like to create a small divot in the bed of grounds before I brew as I really like to be sure the whole thing becomes saturated throughout the bloom. It also creates a nice entry point for the pour." “Occasionally, light roasts will require a lower brewing temp than 200F to bring out the best in them. “When you brew coffee, hot water acts as a solvent, washing the soluble solids out of the coffee grounds and into the brew. Brew methods that use paper filters leave only the soluble solids in the cup, since the paper absorbs the insoluble solids, like oils and superfine particles. Paper-filtered coffee is ideal for those that prefer a clean, bright, and delicately flavored cup with a range of flavors from the earthier side all the way to acidic and fruity tastes. Insoluble solids in coffee like oils and superfine particles can actually coat the palate and prohibit the perception of acidity in coffee. 47. If you’re serving others, do quality control with each cup. Work within the 7 Pillars of Coffee Preparation. Experiment with only one new tactic at a time. Be consistent from brew-to-brew to avoid unintended variables affecting the cup. There are a lot of different ways to make a pour over, and this is by no means an exhaustive list. We’d love to hear about other techniques you use to improve your coffee. We will continuously update this article as new and better techniques for making pour over coffee surface within the community.